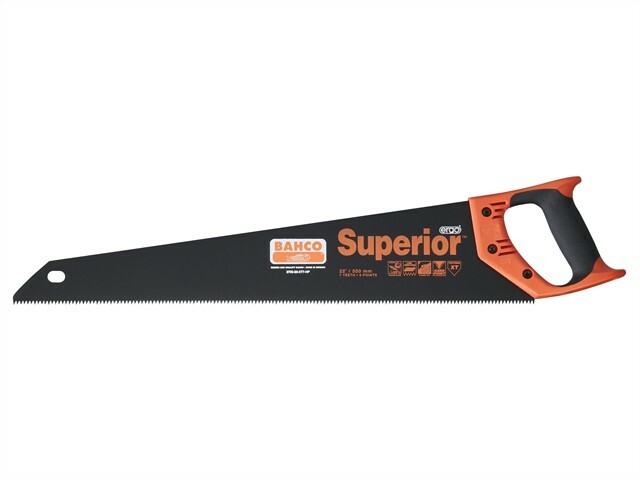 Bahco XT-HP Handsaw has a very fast cutting performance when cutting coarse or thick materials, and is developed according to the scientific ERGO™ process. Incorporating the XT toothing, with hardpoint teeth and black friction reducing blade coating. Available in: 550mm (22in) and 600mm (24in) lengths.